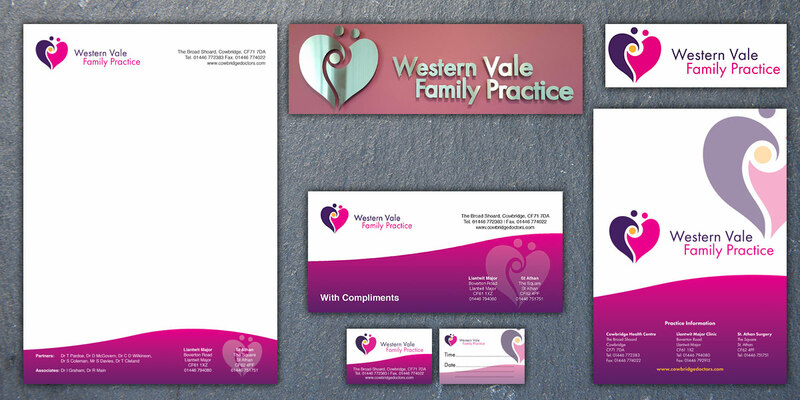 I was lucky enough to work with Western Vale Family Practice (Formally The Cowbridge and Western Vale Group Practice) to help re-brand their practice. Starting with a new logo design, which the practice didn't have before, the colours and shapes used follow through to create a brand for the practice. This brand follows through letterheads, compliments slips, brochures, appointment cards and name badges which I supply to the company. I am now working with the practice to re-design their website which I host. More information about Western Vale Family Practice can be seen at http://cowbridgedoctors.com. Here are my latest poster designs. I was approached by Jon Richardson of ReThink The Ink for appointment cards and hoodies. "Business cards and Hoodies great quality. The business cards have a shine on one side which makes it a good feel and you can feel the quality. The Hoodies are of good quality to also had T-Shirts before and again good quality. Can't recommend enough.. Thanks again"
I was approached by Sparkle & Shine to design and print Flyers and leaflets to advertise their business. 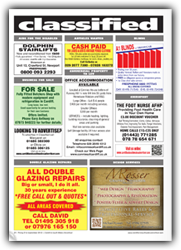 "Michael designed leaflets for our family business and was fantastic to deal with. I asked for a design and was provided with several different options as I didn't quite know exactly what I wanted. When I asked for changes, these were done promptly and Michael made sure that I was completely happy with the work. I've used several other online and local companies before and now I wouldn't go anywhere else. He's also designed printed posters for the school where I work which are excellent. I was approached by Llantrisant War Memorial Committee to design a poster for their Armistic Day Concert. "I urgently needed a poster and programme event cover (on behalf of the Llantrisant War Memorial Committee) for an Armistice Day Concert taking place in the town. I contacted Mike and he got to work on our requirements straight away. Mike's swift response was a great relief because the print deadline for the programme was moved forward at a very late stage. The Llantrisant War Memorial Committee were delighted with the high quality design work Mike did for us at short notice. We're looking forward to working with him again in the near future." Here's the work I created for this years Cowbridge Food & Drink Festival. Lastest Poster Designs for Buzzcocks, Seth Lakeman, GLC, Hayseed Dixie, Bellowhead, Gretchen Peters and Levellers. I was contacted by Lesley Fullbrook, to create a poster charity fundraising event to raise money for Cycstic Fibrosis. The theme was a Casino/James bond theme. "I found Michael Rosser very easy to work with he listened to what I wanted and worked to a high level to produce exactly what I wanted. I found his customer service incredible and his prices unbeatable . I would highly recommend him to anyone and will use him in any future Charity events I plan." I was contacted by Nick Jenkins of Free Spirit Images to create a new business card and logo for his photography company. "I was recommended to Michael Rosser by a colleague who helps me with marketing Freespirit Images, my photography business. Michael was very helpful, patiently considering my suggestions for changes to the design of my business card and coming back to me very quickly. There were not that many changes needed in fairness. 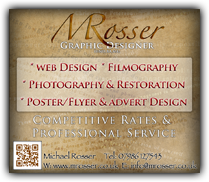 Price was also very reasonable and yes, I would have no hesitation in recommending Michael Rosser to anyone seeking to promote their business with modern, up to date branding." I was contacted by Fame In A Frame owner Shaun Walsh, to create a poster and a ticket for a charity fundraising event to raise money for children with Cerebral Palsy. The poster and ticket was to have a boxing theme and to be eye catching. "I would just like too thank Michael Rosser for such a true professional service and all the hard work put into creating such a great poster for our event. Would definately use his services again And recommend him to anyone looking for a professional, reliable graphic designer. Again thank you!!" I was asked by local Business and Event Manager, Tracy James-Lieberman, to design a business card for her business. The clients requirements was for a clean, classy design that would reflect her skills. "I cannot recommend Michaels design service enough, I gave him a brief that he not only got straight away but then suggested a couple of changes that made a huge difference to how the cards turned out. Michael made it a very smooth experience and I have had many comments about my new cards already. A pleasure to deal with." I was asked by the Cowbridge Food & Drink Festival to redesign their website. I was very pleased to have been asked and couldn't wait to start creating different ideas and layouts. The website needed to be manageable by the client, have facebook and twitter feeds and responsive. (Responds to different screen size's - see below). I also host this website. I was contacted to design a logo for a new salsa dip called 'One Yank Salsa'. From an initial contact between us I started with various ideas that the client wanted to explore. From there the client chose a design that they liked, which I think refined further to a final design. "My wife and I needed someone who could help us develop a very unique label for our product. While doing some research online we found Michael. Michael was very easy to contact and very easy to work with throughout the project. He was quick to respond and great at offering his thoughts. He worked very hard on the labels that we need created. Michael goes the extra mile when it comes to his work and will do what is requested. His work is very well priced as well. Throughout the process of contacting each other via email the labels developed into something fantastic. The end result was very pleasing to my wife and I and we will be using Michael again for our future design work. My wife and I highly recommend Michael for all your graphic designing needs"
I was approached a few months back to help design a recipe book for the Cowbridge Food & Drink Festival. 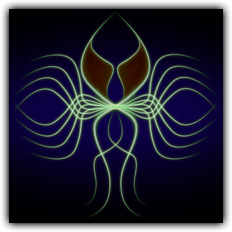 Am getting some great effects and patterns playing around with paths and brushes etc. 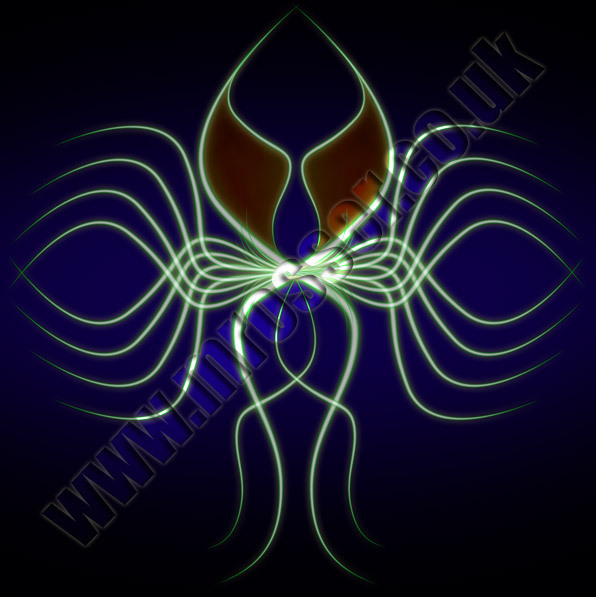 I created this in Photoshop CS6 using paths, strokes and brushes. Not sure where this one will go, but will post variations as and when I can. I created this in Photoshop CS6. Just playing around and seeing what develops. I love this program. This looks to be 3D but its not, I have just created that effect. Although, Photoshop CS6 does offer 3D which I will explore at some point. My new business card ties in with the design of this website. This is version one for now as I'm sure being a creative person I will change this overtime. Below is the front and back. If you want to see my previous business card designs click here Previous Business Cards. I designed this advert to tie in with the re-design of my website. This is my new re-designed Website that allows to be viewed on all devices, from desktop, laptop to Ipad, tablet and Mobile. I will also post items and articles that I find interesting. 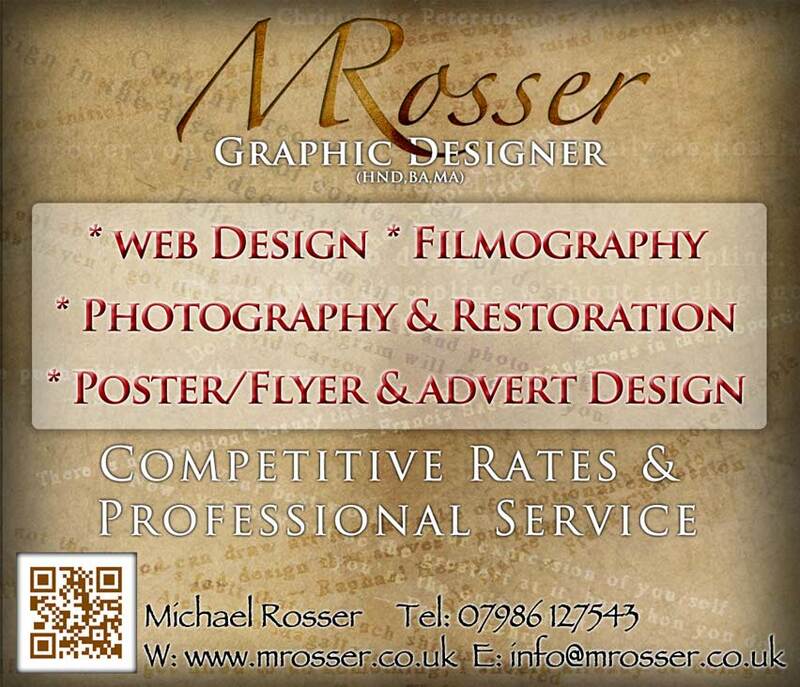 I would appreciate any feedback, comments and suggestions that you have and you can email them to me at info@mrosser.co.uk. Local band Sankara contacted me to ask if I was interested in designing a future album cover for them. After completing and maintaining their website for nearly a year and creating posters for them in the past, they liked my work and felt I could do the job. They gave me some demos from the new album and the brief was open to what I thought the album was about and what feeling it portrayed. After listening to the demos for a few days, I began playing around in Photoshop with some initial ideas. A few days of experimenting with concepts, I ended up with having between 15-20 different designs. Some were stronger than others, but I felt that if I sent the band more of my initial ideas then they can pick a few that they like and I would then have a direction that the band sees the album progressing.